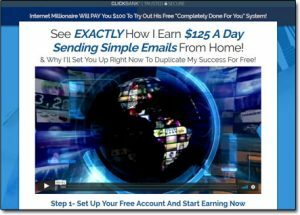 Instant Email Empire Review – Scam or Legit Way To Earn Money By Sending Emails? He even claims that everything inside of the system has already been done for you & that after registering you’ll be able to make money right away… But is he really telling the truth (and does he even really exist)? Or is the Instant Email Empire a scam that you should just steer clear of? What Exactly Is The Instant Email Empire System? But the first thing I can tell you is that it’s NOT free – in fact in order to get started with the Instant Email Empire program you’ll be required to hand over $34 of your hard earned cash so it’s immediately clear that Bobby is lying to us. He’s actually just an actor that’s been hired from a website called Fiverr, he’s not an internet millionaire at all & at the very bottom of the Instant Email Empire website it also states that “The spokesperson used in the video is using a pen name“… So Bobby Jones is just a fake alias altogether. But why would the creator of such a system want to use an actor & a fake name? I mean if your system was genuinely helping people to make money then surely you wouldn’t need to hide yourself right? Exactly – you wouldn’t, and in this instance the creator has chosen to hide himself because the whole thing IS indeed a scam. It’s actually a pyramid scheme & I can say that so confidently so soon because I’ve exposed this same scam several times before. Originally it was called the Guaranteed Income Machine system, then it changed to the Copy My Email system & now here it is once again this time under the name of the Instant Email Empire. How Does The Instant Email Empire System Work? 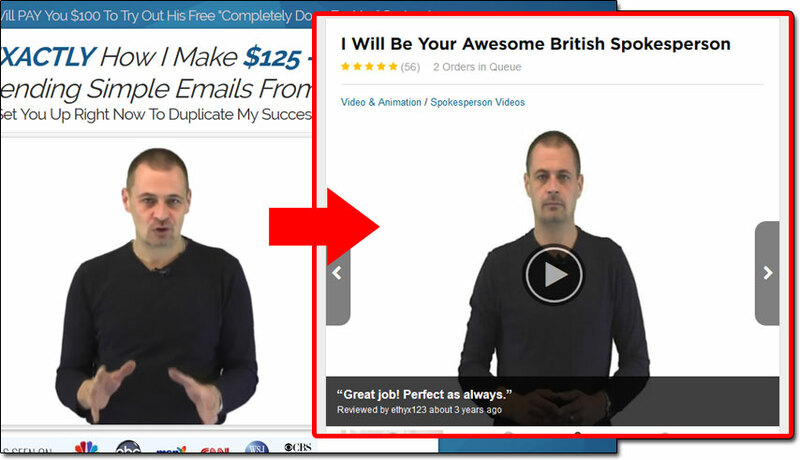 Well “Bobby Jones” the presenter in the video claims that he’s taken the hard work out of email marketing. 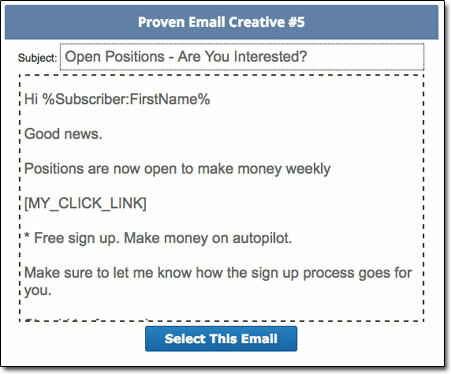 He promises that if you sign up to his system he’ll provide you with pre-written emails, an email list, and the opportunity to earn $0.20 for every single person that clicks on the links in the emails that you send. It’s a seemingly plausible story, but it’s also a complete lie. And also whilst the whole thing is made to seem really easy I can tell you that due to the way it actually works in reality there’s next to no chance of you making money with the Instant Email Empire system. Well basically like I mentioned earlier in this review the Instant Email Empire system is just a big pyramid scheme. You’re required to buy in for $34 & then your job is to send emails convincing other people to buy in too. And whilst Bobby claims you’ll get $0.20 for every click on the emails that’s just another lie – you don’t earn anything for clicks on the emails… You only earn if somebody clicks & then pays the $34 just like you did. Firstly, if you send a random email to somebody promoting a make-money offer like the Instant Email Biz it’s just gonna go straight to their spam folder. There’s absolutely no chance they’re going to see that email. And secondly let’s just say somebody did see the email (which they won’t) do you really think they’re going to click on a random link sent from a random sender about making money on the internet? Nope – they won’t. And thirdly in the EXTREMELY unlikely event that somebody not only sees the email but opens it & clicks the link, do you really think they are then going to whip out their credit card & pay $34 to join? Absolutely no way! But on top of all that, even if the method did miraculously work the whole thing is illegal in every sense of the word. Not only is it a pyramid scheme (since there’s no real product involved) but also sending unsolicited emails is an offence in itself as it breaches the CAN-SPAM act & penalties for breach of that ain’t no joke! So in short the only person who’s going to be making money with this thing is the person that’s created it (the person that’s chosen to keep himself hidden) and he’ll just be earning money by suckering people into his fake program… Hence why he’s kept his real identity hidden. What a complete utter load of garbage…But sadly the scam doesn’t end there as the person behind it all has also put various upsells inside as well in an attempt to part you with even more of your hard earned cash. However even if you purchase that your list will still be empty & this is where more upsells come in as the creator promises to provide you with emails for your list in exchange for more of your cash – but this is just more BS. My Verdict – Is The Instant Email Empire a Scam? Yes, in my opinion it is a scam & the reason I say that is because as far as I’m concerned there’s no real product involved – instead the whole focus is just put on signing up & then trying to sucker others into the exact same system whilst earning at their expense. Plus on top of that it’s clear to me that based on all of the upsells inside that the creator is just trying to squeeze as much money out of the members as possible & the likelihood of them ever earning anything back is extremely slim indeed. So with all that in mind I feel that if you were to sign up to the Instant Email Empire system & spend your money on it you’d just find yourself disappointed at what you actually received (and the lack of results that came with it). If you want to really make good money online then I suggest you steer clear of these programs promising quick & easy riches & instead just go for something legitimate which will actually help you to get started properly like Wealthy Affiliate. It’s there that you’ll learn the REAL steps for building an income online. And don’t forget about all these other great ways to make money online too which I highly recommend as well.